Haiti is the poorest country in the Caribbean and Latin America. In 2001—before the floods, hurricanes and food crisis of 2008, and before the earthquake of January 12, 2010—54% of the population lived on less than $1/day and 78% lived on less than $2/day. Despite progress made toward a democracy since 2004, Haiti’s socio-political structure and supporting institutions remain weak. The government lacks the capacity to create and execute policies or to deliver core public services. The January 2010 earthquake affected one third of the country’s 9 million people, leaving more than 1 million people homeless. Much of the infrastructure and many houses in the capital and surrounding areas collapsed. Within days of the disaster, people began moving to rural areas. Unclear and undocumented land rights in Port-au-Prince have added to the confusion, compelling informal tenants to return to and remain on their housing sites rather than risk losing claim to them by leaving, and impeding donors in their efforts to rebuild shelter. A void in government capacity and leadership on land issues compounds these problems, as does the earthquake’s destruction of many land rights documents. Several major donors have identified confused land rights as the primary impediment to reconstruction. Agriculture is the main source of livelihood for Haiti’s rural population, but productivity has declined over time. Customary law governs access and tenure security of rural land. The customary system provides security of tenure through deeply engrained systems of social relationships. The tenure system allows small farmers to adapt to changing environmental and economic conditions through land leasing, sharecropping, transferring control of land within families, and migrating for wage labor. Studies suggest that peasant farmers in Haiti tend to invest in land despite the lack of formal land rights. However, increased demand on land in rural and semi-rural areas following the January 2010 earthquake may overwhelm customary tenure systems, resulting in increased uncertainty about land rights. This uncertainty in turn could result in further losses in land productivity, which is already limited by poor infrastructure, weak agricultural extension, lack of functioning capital and credit markets, limited off-farm rural labor opportunities, and general rural disenfranchisement. Weak governance, scarcity of productive land, and unsustainable farming methods have also contributed to widespread erosion, deforestation and degradation. The destruction of housing in urban areas and the migration of people to rural areas caused by the January 2010 earthquake place land tenure and natural resource management issues squarely on the agenda of the government and donors. The land rights situation in Haiti will likely undergo substantial changes in the next few months and years, and the already limited existing research on land systems will quickly be out of date. While numerous short- term measures will be necessary to ensure protection of property rights and support for rebuilding livelihoods and supporting institutions, some interventions focused on policy development and planning for the longer term are indicated. Land tenure assessments in Haiti that gauge the extent and potential impact of reconstruction in Port-au-Prince and out-migration into smaller cities and rural areas, in addition to the status of the customary system, will provide policymakers and donors with valuable information to guide decision-making. This data can help ensure that consideration of any land rights formalization process includes understanding of the strengths and weaknesses of the customary system, the functioning of land markets, and the country’s experience with formal titling. Customary law dominates rural land tenure and land tenure of the poor in urban and peri-urban settings. Norms in urban informal settlements are constantly changing, especially in the aftermath of the January 2010 earthquake. Formal laws are fragmentary, out of date, and create costly and often ineffective systems of land registration and enforcement of rights. In rural areas, women routinely lose land rights when they marry outside their village and relinquish possession of inherited land. Land institutions for implementation and enforcement were weak prior to the earthquake and many were rendered inoperative by the disaster. The need to harmonize customary and formal systems to protect property interests and encourage reconstruction and development has new urgency. Donors can work with the government to provide leadership for the process and offer technical expertise in the areas of customary and formal land rights, women’s land rights, land dispute resolution systems, and the development of legal frameworks governing land and other natural resources, including forests. Programs are needed to provide shelter for the homeless, especially in the capital. Donors can provide technical expertise to assist in the creation of appropriate policies and laws for the reconstruction of house sites and housing, including provisions to improve and protect land tenure through development and implementation of low-cost land rights formalization. Haiti is the poorest country in the Caribbean and Latin America. In 2001––before the floods, hurricanes, and food crisis of 2008 and before the massive destruction caused by the January 2010 earthquake––54% of the population lived on less than $1 per day and 78%lived on less than $2 per day. Life expectancy is 53 years. The January 12, 2010 earthquake affected one-third of the country’s 9 million people, leaving more than 1 million people homeless. Much of the inadequate infrastructure in the capital and surrounding areas collapsed; the offices of the president, the United Nations, and dozens of NGOs were destroyed. Many of the houses built and purchased by the millions of people who migrated to the capital and surrounding areas over the last decade were destroyed. Within days of the disaster, significant numbers of people began migrating back to rural areas. The extent to which survivors of the earthquake will remain outside of Port-au-Prince in rural areas and smaller cities is not yet known. Land rights in urban areas are largely undocumented. Prior to the earthquake, the majority of residents in Port-au-Prince and other urban areas lived in informal settlements. The earthquake has pushed several urban land tenure issues to the fore, including: establishing a system of land claims and dispute resolution as residents attempt to resettle, take possession of rubble, and re-build; establishing rights to areas of undeveloped land for temporary and transitional housing, as well as for long-term reconstruction; and clarifying and developing institutional authority for land registration, land-use planning and dispute resolution. Authorities will have to balance the need to assert authority over land in the interest of public health and safety with the need to protect vulnerable groups, such as informal tenants, many of whom may be displaced by efforts to strengthen control over land and land-use planning. Rights to land of hundreds of thousands of informal tenants in Port-au-Prince, displaced by the earthquake, are currently unclear. Despite progress made toward a stable democracy since 2004, Haiti’s socio-political structure and supporting institutions remain weak. Even before the 2010 earthquake, the government largely lacked the capacity to create and execute policies or to deliver core public services. Agriculture is the main source of livelihood for Haiti’s rural population, but agricultural productivity has declined. Farmers lack the needed resources and agricultural inputs. Weak governance of natural resources, scarcity of productive land and unsustainable farming methods have caused intensive erosion, deforestation, and widespread land degradation. Customary law governs access and tenure security of rural land in Haiti. The customary system has provided security of access to land through deeply engrained and relatively stable systems of personal and social relationships. The land tenure system, which includes a dynamic mix of ownership, leasing, sharecropping, and wage labor, has generally been compatible with the development of smallholder agriculture. Studies report that peasant farmers have been willing to invest to increase land productivity regardless of the tenure type (e.g., ownership, leasehold, sharecropping) and without formal land rights. However, the customary system may not be able to withstand the pressure of the recent environmental disasters, loss of livelihoods and assets, urban-to-rural migration trends following the earthquake, and increased dependency on productive land. In addition to recognized barriers to improved land productivity in Haiti—lack of infrastructure, absence of permanent institutions providing agricultural extension and research, lack of functioning capital and credit markets, limited off-farm rural labor opportunities, and general rural disenfranchisement—the existing tenure system may need to be considered. Haiti is a mountainous country on the island of Hispaniola, characterized by a dense population and acute poverty. As of 2007 the population of Haiti was 10 million. Fifty-four percent of the population lived on less than $1 per day and 78% lived on less than $2 per day. Deteriorating living conditions and a lack of basic infrastructure in rural areas led to rapidly accelerating urbanization in the years leading up to the earthquake. Over one-third of the country’s population lived in the capital, Port-au-Prince, and its surrounding areas. Despite this, 55% of the population is rural. The earthquake resulted in out-migration from Port-au-Prince to rural areas. Although the permanency of these migration trends is not yet clear, thousands of people are expected to seek undeveloped and underdeveloped rural land on which to live, and to seek shared housing and access to land from extended family members in rural areas and small cities. This migration could create heightened demand for scarce land and housing resources in hosting communities, and could increase the incidence of dispute over rights to these resources (USACE 1999; IDA 2008; World Bank 2009; IDA 2009; ARD 2010). In 2007 Haiti had a GDP of $6.7 billion. By sector, 25% of GDP was derived from agriculture, 32% from industry, and 44% from services (2005 data) (World Bank 2009; IDA 2009; Taft-Morales 2007). Haiti’s total land area is 27,600 square kilometers. Fifty-eight percent of land is agricultural. Forty percent of total land area is arable and permanent cropland, of which 8.5% is irrigated. Fifty percent of agricultural land is estimated to have a slope greater than 40%, which exacerbates erosion (USACE 1999; World Bank 2009; FAO 2000). Forestland constitutes 3.8% of the total land area in Haiti, reduced from 80% at the beginning of the 20th century. Approximately 81% of Haitian forestland is natural forest area, while 24% is plantation forest area. Nationally protected areas constitute 0.3% of total land (World Bank 2009; Howard 1998; FAO 2005). Forty percent of Haiti’s land area has been stripped of its productive soil. About 900,000 cubic meters of topsoil are lost each year due to deforestation and resulting soil erosion. Rapid population growth combined with land degradation has resulted in a scarcity of land. Deforestation is occurring at an annual rate of 0.7%. Urban-to-rural migration following the earthquake may increase pressure on land, water and other natural resources in rural areas. It is not yet clear what impact this out-migration will have on environmental resources (Howard 1998; World Bank 2009). Most rural land is held by individuals who cultivate small farms for family use. Eighty percent of rural households have access to land—often a simultaneous and dynamic mix of owned land, leased land, and land sharecropped or worked as wage labor. A majority of these households hold their land under customary law. Landholdings average 1.8 hectares per household, usually divided among several plots. Forty percent of households possess less than 1 hectare of land per household and 40% of households have 1 to 4 hectares of land per household. The balance of households is at the ends of the spectrum: they either hold large tracts of land or are landless. An estimated 1% of households have 14 hectares or more of land (Bethell 2002; Howard 1998; World Bank 2005; Avsi 2009; Sletten and Egset 2004). Patronage and misuse of the law have allowed elites and corporations to acquire the most productive land in Haiti. In rural areas, large landowners (grandons) own or operate vast tracts (100 hectares or more) and rent their land under sharecropping agreements. Adjusted for quality of land, the poorest farmers cultivate 0.54 hectares per household while the wealthiest farmers cultivate 2.51 hectares per household. The poor tend to farm plots that are nearly twice as far away from their homestead as those of the wealthier farmers, and thus their farmland is under less intensive production (Howard 1998; Bethell 2002; De Ferranti et al. 2002; World Bank 1998). Female-headed households tend to have fewer and smaller land plots than male-headed households (De Ferranti et al. 2002). Article 36 of Haiti’s Constitution recognizes and guarantees the right to private property. The Constitution expressly requires agricultural landowners to cultivate their land and protect it against erosion. The Constitution broadly calls for land division and development under the terms of territorial management plans within the framework of agrarian reform. Haiti’s Civil Code, sections 425–577, includes provisions applicable to rural land contracts and enforcement (GOH Constitution 1987; Reynolds and Flores 2009). The Rural Code (Loi of 24 May 1962, amended 1986) is the primary existing legislation governing rural land through 19 separate laws. Topics covered include: administration of rural areas; land classification, use rights and easements; soil protection; livestock; irrigation and drainage; forests, including their classification and protection; land surveying; evidence of ownership; and land consolidation. The Rural Code has limited application to land tenure, use, and administration (GOH Rural Code 1962; Howard 1998; American Center 2003). In practice, however, customary law governs rural land rights and use. Customary rights are less evident in urban areas (Smucker et al. 2000; Howard 1998). Rural land ownership is generally governed by customary law and traditional practice as opposed to formal law. Land is largely individualized; rural communities in Haiti do not have a tradition of communal land management although land held by families may remain undivided (Smucker et al. 2000). Land rights in urban areas may be controlled by the central government, municipal governments or private individuals and entities. Most residential land rights in urban areas are informally held, due in part to the lengthy and costly registration system discussed below. Land leased from the central government and municipalities will likely play a key role in building new settlement communities in Port-au-Prince and in other smaller cities. The terms of these leases will be important to determining the level of resources that both donors and individual families are willing to commit to reconstruction. Under the customary system, rural land is acquired through purchase (37%), divided inheritance (23%), undivided inheritance (15%) and other means. When inherited, land is usually divided among all children of the deceased. Other forms of acquisition include non-formalized gifts of land, plots controlled for absentee landlords by managers, and leaseholds on state land. About 10% of Haiti’s agricultural land is possessed by leaseholders and by squatters on state land (5% of rural households). Under long-standing traditions of reciprocity, smallholders will rent their land in exchange for cash, produce, or a labor commitment (Howard 1998; Bethell 2002; Smucker et al. 2000). In 1804, the Haitian government claimed vast colonial plantations and all other unclaimed lands. Newly-freed slaves claimed much of the land that was not directly under government control, and this land has since that time been informally bought, sold, or inherited by subsequent owners (Smucker et al. 2000). Most land in Haiti is acquired and held under principles of customary law as opposed to formal law. Thirty-eight percent of rural land was obtained by inheritance; an almost identical percentage (37%) by purchase. Under customary law, kinship groups have an obligation to make land available to all members of the group. Land is also accessed through other social relationships, such as patron-client and fictional kinship alliances. These relationships provide for security of access (Smucker et al. 2000). Approximately 60–65% of rural landholdings lack any type of documentation recognized by formal law, and their rights are not enforceable in the formal adjudicatory system. What documentation exists is rarely updated (Smucker et al. 2000; World Bank 2005). Prior to the 2010 earthquake, approximately 40% of landowners had some documentation of their land rights, such as legal title or a sales receipt that is recognized under formal law. Updated title was more common in urban areas. Some land titling occurs in rural irrigated zones or peri-urban areas where rents are high and it is possible to speculate in land (Bethell 2002; Smucker et al. 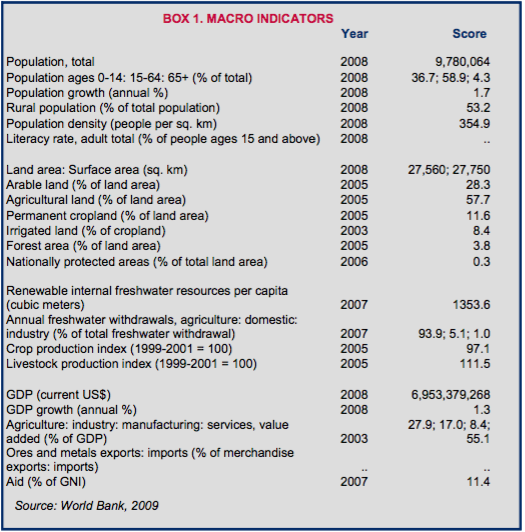 2000; World Bank 2005). Formal registration of rural land is rare. Farmers avoid obtaining formal title due to the high costs associated with registering land. Distrust of government officials is common, fees and taxes for registered land are high, and registration creates a risk of diminishment of land area. Studies suggest that lack of formal documentation of land rights does not impact land productivity. Peasant farmers are as willing to invest in land they access through leasing and sharecropping arrangements as the land they hold in ownership. Farmers find security in kinship relationships and other social ties that provide secure access to land (Smucker et al. 2000). Foreigners can own 1.29 hectares in urban areas and 6.45 hectares in rural areas. Foreigners cannot own more than one residence in the same district, or own property or buildings near the border with the Dominican Republic. To own real estate, foreigners must obtain authorization from the Ministry of Justice (FCO 2008). Haiti has no systematic national cadastre or registration system, although the Direction Générale des Impôts (DGI) is the central institution responsible for maintaining and updating registration records that do exist. Some local areas, such as Port-au-Prince, have their own land registration system. To register rights to a parcel of land in the capital, one must: (1) obtain authorization to conduct a property survey from the dean of the civil tribunal of the commune for free; (2) conduct a survey by a public surveyor with a cost; (3) a Notary Public will prepare a sales agreement, with a fee up to 8% of the sales price if the transferred property is farmland (the seller must pay a value added tax up to 25% if the property is urban land with buildings); (4) record the sale agreement at the Direction Générale des Impôts, and (5) the sale agreement is transcribed by hand into a register of the Direction Générale des Impôts. The registration process takes between 4 and 15 months. In Port-au-Prince the land registration system is bureaucratic, lengthy, costly and generally not trusted. The dysfunctional nature of this system contributed to the rapid growth of informal settlements in the capital prior to the earthquake, and confusion around land rights is—and will continue to be—one of the greatest impediments to reconstruction. The majority of land transactions in rural areas are not formally registered, and the procedures for rural land registration are unreported (World Bank 2008, ARD 2010). Other registration data pertaining to land and buildings exists at the municipal level, and includes property tax rolls and construction permits, as well as notary data and records of leased state lands (held at both the DGI and municipal levels) (ARD 2010). As Box 3 indicates, Haiti’s formal laws pronounce principles of nondiscrimination. The 1987 Constitution (Article 18) mandates the equality of all Haitians. Women achieved equality under the law in 1982, when a decree was passed that established the equality of the sexes, particularly within marriage (GOH Constitution 1987; De Ferranti 2002). In practice, the formal law often does not impact the reality faced by Haitian women. 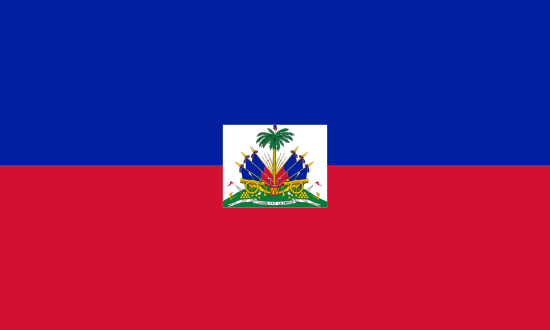 A majority of couples in Haiti have common law marriages that are not registered with the state. Common law marriage and cohabitation create insecurity for women because the law does not recognize their inheritance rights to their husbands’ land (De Ferranti 2002). Under both formal and customary law, all recognized children have equal rights to the land owned by their deceased parents, although female heirs tend to receive smaller shares of land. Customary law favors the possessor of land. Heirs who remain on the land assume control of absentee shares and consolidate adjoining shares, which can deprive daughters who have married outside of the community of their access to inherited land (Smucker et al. 2000; Gardella 2006). Married-out daughters usually lose their shares of land to relatives because unregulated customary practice restricts selling land to outsiders. Thus, they will not sell their inherited share and will not personally farm it. Instead, they give the land to a relative (Smucker et al. 2000). In general, women’s property rights derive from their status as wives, mothers, or wards, and thus women often lose their land rights when their status within the household changes. The customary laws that are prevalent in rural areas exclude women from land ownership. Anecdotal evidence suggests that the land rights of women who are household heads are more secure than the rights of women in households headed by men (De Ferranti et al. 2002). The Ministry of Agriculture, Natural Resources and Rural Development is responsible for the promotion of agriculture, rural development and the protection of natural resources (FAO 2000). Land administration is governed by formal and customary systems. Formal transactions require documents prepared by notaries and updated surveys. Haiti’s customary system of land rights is based on kinship, family obligations, personal loans, labor relations and favors. Transactions are generally enforced within these kinship systems rather than through use of formal procedures and documents (Smucker et al. 2000). Haiti does not have a national cadastre and lacks a comprehensive, functional system for recording land ownership. Some areas of highly productive land, such as the irrigated zones of the Artibonite Valley and Gonaïves Plains, created local cadastres but they have not been maintained and the records are not current (Smucker et al. 2000). As noted above, the land registration system for Port-au-Prince is bureaucratic and costly, resulting in the growth of informal, unregistered transactions. The Direction Générale des Impôts (DGI) has been the government institution responsible for maintaining registration records. However, people do not generally consider these records to be accurate. Furthermore, the DGI building was damaged in the earthquake and the status of land records is not known (ARD 2010). Municipal governments have a vested interest in secure land tenure because they hold legal authority to census and tax “built properties” via the Contribution Foncière de Propriétés Bâties (CFPB). Rural jurisdictions known as Conseils d’Administration des Sections Communales (CASECs) also have the authority to census and tax “built properties,” which has been especially important in the urban and suburban areas on the fringe of Port-au-Prince (ARD 2010). Haiti’s informal land market is active in rural areas. Ninety-five percent of land sales in rural Haiti are conducted informally to avoid the high costs associated with legally prescribed procedures, which could run as high as 8% of the total sales price. Customary law favors land transactions within kinship groups, and in some areas land transactions outside the kinship group are prohibited (Smucker et al. 2000). 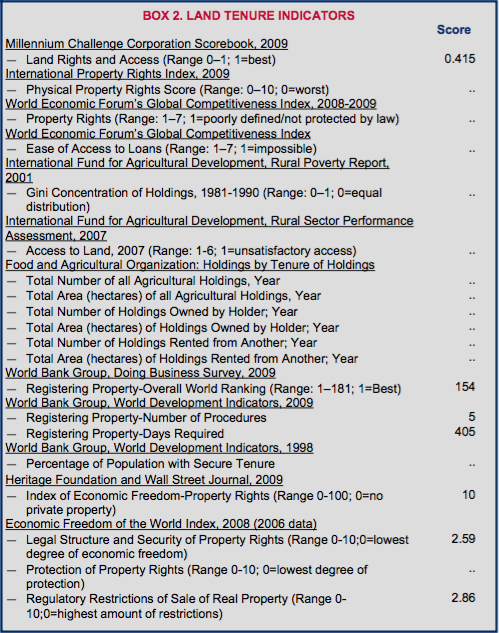 Formal land transactions must go through five steps: (1) authorization for a survey from the dean of the commune; (2) conducting the survey by a commune official; (3) notarization of the transaction; (4) preparing all documents by the notary, and (5) registering the transferred land (World Bank 2008). Although mortgages are legal, real estate mortgages involve lengthy procedures and are not always recorded against the debtor or other creditors (USDOS 2009). Under the Constitution, property can only be taken for a public purpose and with fair compensation paid. Land reform is considered to be a public purpose. The Constitution prohibits confiscation of land for political purposes. An expert must determine the value of the land, and the government must compensate the landowner based on that valuation (GOH Constitution 1987). The US Embassy has received complaints that the Haitian government has not compensated some individuals when their land was expropriated. Determining formal ownership and rights to compensation is complicated by the unreliability of land records, surveys and titles in Haiti (USDOS 2009). Compulsory acquisition will likely play a role in reconstruction efforts following the earthquake because of its importance as a land-use planning tool (e.g., in establishing no-build zones for the health and safety of residents) and because of its potential use in securing lands for new settlements (ARD 2010). There is a strong preference for resolving land disputes through informal means and kinship systems. When the informal system cannot resolve conflicts over inheritance and rightful ownership, the parties may as a last resort take the dispute to the formal systems. Haiti’s judiciary has struggled with lack of funding, training, and infrastructure. Ten of the 14 courts of first instance were destroyed in uprisings in 2004, court records are poorly maintained, and courts often have limited access to legal texts. Forty percent of the population lacks the documentation of identity required to appear as a party and proceedings are in French as opposed to Creole, which is spoken by the less educated segment of the population. Formal proceedings are costly and there is no systematic system of legal aid. The courts are often viewed as corrupt and highly politicized, and they lack mechanisms to enforce their rulings (World Bank 2006b; Smucker et al. 2000). In the aftermath of the earthquake, no centralized government body appears to be asserting authority over land claims and land dispute resolution. This issue will continue to rise in importance as residents of Port-au-Prince begin to return to their land and turn their attention to longer-term reconstruction. Community mapping processes, such as those undertaken in Indonesia following the 2004 tsunami, may help to establish at least some level of tenure security (ARD 2010). In 2007, the GOH (Government of Haiti) released a National Strategy Paper for Growth and Poverty Reduction that is made up of three pillars, one of which includes promoting agriculture and rural development. The strategy does not explicitly address land tenure issues (IDA 2009; IDA 2008). From 1991 to 1996, the National Institute of Agrarian Reform implemented a land reform program in Artibonite Valley, the primary rice-growing region in Haiti. The program was designed to redistribute disputed land to landless families. Each recipient was given a half-hectare of land with restrictions on alienation. By 1996, 1600 households had benefited from the first round of land redistribution. Rice yield reportedly increased by 60% in the area. There were complaints about corruption and favoritism in the redistribution process but the project achieved some objectives (Bethell 2002). As of 2008, USAID was working on economic growth initiatives in Haiti, with agricultural economic aid totaling $18 million in fiscal year 2008. USAID activities focus on soil conservation, watershed management, reforestation, and market-based interventions in natural resource management in order to formulate macroeconomic policies that facilitate economic growth (USAID 2008b). Since 2005, IDA has provided grants to Haiti, including $38 million for rural development, part of which is to be used in soil improvement and land and water development (IDA 2008, 2009). The World Bank gave the government a $6 million grant to support combating land degradation, provide assistance to rural landholders to improve their land use patterns and increase effectiveness of conservation and rehabilitation of remaining forests. The Bank’s Country Assistance Strategy for FY09–FY13 places high priority on increasing agricultural productivity and planned a $5 million initiative to address bottlenecks in the Ministry of Agriculture, improve service delivery approaches to producers and help facilitate disbursement of resources provided to the sector by a variety of donors (World Bank 2006a; IDA 2009). GTZ was involved in a project to combat desertification of arable land in Haiti. The term of this project expired in June 2008 (GTZ 2008). Rainfall, ground water, and the Artibonite River contribute to Haiti’s freshwater resources. The country has 12 cubic kilometers of internal renewable water resources and 0.9 cubic kilometers of external renewable water resources. Water resources are unevenly distributed, with the southwest part of the country possessing freshwater supply four times as high as the southeast. Rainfall in Haiti is unevenly distributed. Some regions receive up to 3,600 millimeters annually, while others receive only 400 millimeters (FAO 2000; USACE 1999). Étang Saumâtre is the largest natural lake in Haiti, covering 181 square kilometers. The lake is surrounded by an inland marsh. Additional ponds and sinkholes can be found in limestone terrain. The Lac de Péligre is a man- made reservoir on the Rivière de l’Artibonite, covering 30 square kilometers. Mangrove swamps are located along the coast. The most extensive mangrove swamp is located south of Gonaïves and is 32 kilometers long and 5 kilometers wide (USACE 1999). Only about 7.5% of renewable water resources are utilized in Haiti. The availability of groundwater is variable. Groundwater is plentiful in the plains and valleys, but varies from plentiful to scarce in mountainous areas. Underground water is often polluted due to the absence of sanitary sewers in Haiti (Howard 1998; FAO 2000; USACE 1999; UN 1997). Erosion has caused the volume of water flowing from 18 springs which serve the Haitian capital to drop by 50% since 1993 (Collie 2003). Haiti’s water supply is stressed by the uneven distribution of rainfall and population density. Access to water and sanitation facilities is limited. Approximately 49% of urban dwellers had access to improved water sources prior to the 2010 earthquake. The earthquake destroyed many of the delivery systems for water and sanitation in Port- au-Prince, leaving survivors with little access to either. Approximately 45% of rural dwellers have access to improved water sources (USACE 1999; UNESCO 2006). Article 36 of the 1987 Constitution provides that water resources are the domain of the state; the right to property does not extend to any springs, rivers, or water courses. The Government of Haiti enacted a new framework governing water resources in 2009; the framework has yet to be implemented and its terms are unknown (GOH Constitution 1987; IDA 2009). The Rural Code (1962) addresses irrigation and drainage in rural areas. As a practical matter, water resources in rural areas are governed by water committees and customary law (GOH Rural Code 1962; IDA 2009). Water has been a poorly managed resource in urban and peri-urban areas. In Port-au-Prince, private arrangements with public officials have allowed three-quarters of the water distributed by the city to go to less than a quarter of the population (Howard 1998). Because of the absence of effective water management, Haitian citizens access water where they can. They often attempt to illegally drill into ground water supplies, and then sell that water to those who need it (UN 1997; Collie 2003). Institutions involved in water management in Haiti are: the Ministry of Public Works, Transport and Communications, which is responsible for drinking water and sanitation; the Ministry of Agriculture, Natural Resources and Rural Development, which is responsible for irrigation and drainage; and the Directorate of Natural Resources, which administers public irrigation systems (FAO 2000). Haiti has two state-owned water sector enterprises under the Ministry of Public Works, Transportation, and Communications: Centrale Autonome Métropolitaine d’Eau Potable (CAMEP), responsible for the capital city, and Service National d’Eau Potable (SNEP), responsible for secondary cities and for rural areas (GOH Ministry of Public Works 2010). There are hundreds of water committees, called Comités d’Aprovisionnement en Eau Potable (CAEPs) or, more recently, Comité d’Approvisionnement en Eau Potable et Assainissement (CAEPA), which indicates the additional responsibilities for sanitation. The committees are responsible for managing water supplies in rural areas and small towns. The committees are not federated and the nature and quality of their service varies (GOH Ministry of Public Works 2010). Under the new Framework Law passed in January 2009, a General Directorate for Water and Sanitation will be established within the Ministry of Public Works. Four regional water and sanitation authorities are planned to replace the state water companies, SNEP and CAMEP (IDA 2009). For fiscal year 2007, the World Bank approved an IDA loan of $5 million for a rural water and sanitation project. An additional grant of $5 million was approved in 2009 (Cox et al. 2006; IDA 2009). In 1986, with the financial support of USAID, a pilot integrated watershed management project was conducted to build dams and plant trees for soil conservation (White and Runge 1995). Haiti has a total forest area of 1,000 square kilometers, 3.8% of total land area in 2005. All the country’s forests are tropical. They are constituted of modified natural forests (81%) and plantation forests (24%). Fifty percent of forests are used for production, while 4.1% are designated for conservation (FAO 2005). Most of Haiti’s remaining forests are located in the Macaya and La Visite National Parks and in the Forêt des Pins Reserve. However, these areas have also been subject to large-scale logging and invasion. There are mangrove forests on the north coast, in the Rivière de l’Artibonite estuary, in the Grande Cayemite area, and in the Les Cayes region. Important mangrove swamps are also found on the Île à la Gonâve, primarily on the northern coast (USACE 1999; Regan 2003; Howard 1998). Haiti’s forests are characterized by excessive deforestation. Deforestation began in the colonial period, when forests were cleared for coffee and sugarcane production. Between 1900 and 2000, more than 50% of Haiti’s remaining natural forests were lost at an annual deforestation rate of 5.7%. During the same period, plantation forests grew by 5%. Areas of forest that have been converted to agriculture are used for marginally profitable annual crops, such as maize and beans (White and Runge 1995; Zimmerman 1986; Earthtrends 2003; USAID 2006; Taft-Morales 2007). From 2000 to 2005, the average annual rate of deforestation was 0.7%. Extensive deforestation is the result of conversion of forests to agricultural land and illegal harvesting of forests for firewood and charcoal. These actions are encouraged by poorly defined and insecure property rights, which discourage natural resource management by limiting the incentives to be gained from it. Deforestation has contributed to soil erosion and inadequate potable water resources (FAO 2005; Dolisca et al. 2006). The 1987 Constitution recognizes and guarantees private property. However, the Constitution does not define ownership rights to forest. The Constitution (Article 253) forbids environmental degradation that might upset the ecological balance. The Constitution also encourages the development of alternative energy sources to protect forest reserves (GOH Constitution 1987). The Rural Code of 1962 (Loi du 24 mai 1962 portant Code Rural) governs forest classification and protection. The Décret of June 26, 1986 (Décret du 26 Juin 1986) modifies the Rural Code to include the composition of a Council of Rural Administrative Sections (CASER). CASERs are the smallest administrative territorial entity in Haiti and are responsible for encouraging soil conservation and reforestation (GOH Rural Code 1962; GOH Amending Decree 1986). The Law of September 19, 1958 (Loi du 19 septembre 1958) regulates logging in Haiti (GOH Logging Law 1958). Haitian law contains a provision for the creation of a national system of protected areas, but this has not been implemented (USAID 2007). Since 1826, the Haitian government has legislated more than 100 laws and policies aimed at protecting natural forests and soils. These laws have been ineffective in curbing degradation as they have not provided incentives or conditions for appropriate land-use decisions (White and Runge 1995). There is no centralized agency that deals with forest management. The Ministries of Agriculture, Tourism, Environment, and Planning all attempt to regulate forest resources, with limited success (Regan 2003). There has been limited government intervention in forest degradation. The government has hired guards to prevent farmers from converting forest to farmland, but there are too few guards to be effective. In 2003, the Minister of Environment hired agents to pass out flyers and pamphlets to peasants in an effort to educate them about the damages caused by forest degradation. Unfortunately, long-term government intervention in deforestation has been frustrated by high level government corruption (Regan 2003). USAID developed an Environmental Threats and Opportunities Assessment for the Government of Haiti that highlights forest degradation as the primary reason for environmental deterioration. USAID supported a government program designed to improve management of watersheds and build sustainable forest management (USAID 2006). In 1996, the World Bank approved a loan to Haiti for $21.5 million to support the management of forests and parks in an effort to eliminate deforestation and soil erosion. In 1991, the World Bank loaned Haiti $29 million to slow the degradation and erosion of the country’s natural resources. The loan was used to strengthen the Ministry of Agriculture, Natural Resources and Rural Development’s Directorate of Natural Resources and its Forestry and Environmental Protection Services, and for training in forestry and agroforestry (Del Carill 1996). Haiti has few commercially exploitable mineral resources. The mining industry is largely based on the production of cement, such as clay and limestone. Haiti also has small amounts of the following: gold, silver, antimony, tin, lignite, sulfur, coal, nickel, gypsum, limestone, manganese, marble, iron, tungsten, salt, clay, bauxite, and copper. The country is believed to have calcium carbonate deposits, though these have yet to be explored (Torres 1996; Haggerty 1989; Mbendi 2010). Much of the mining industry ceased in Haiti by the 1980s due to lack of profitability. The country’s online bauxite mine, the Miragoâne mine, closed in 1982 due to declining production and high costs (Haggerty 1989). As of the late 1980s, mining constituted only 1% of the country’s GDP and provided less than 1% of the country’s employment. Approximately 4,500 workers participate in artisanal mining (Haggerty 1989; Mbendi 2010; CASM 2009). The 1987 Constitution states the state holds the rights to the country’s subsoil. Property rights do not extend to mines or quarries. The Decree of October 10, 1974 (Décret du 10 octobre 1974) declares all naturally occurring minerals, deposits and subterranean resources the property of the Republic of Haiti (GOH 1987; GOH Mineral Decree 1974). The Decree of March 2, 1984 (Décret du 2 mars 1984) regulates quarrying operations throughout the country (GOH 1984). Prospecting and mining permits may only be granted to companies that are established and resident in Haiti (USDOS 2009). The Bureau of Mines and Energy is responsible for managing mineral resources, including granting mineral exploration and exploitation concessions and permits (USDOS 2009). The Decree of March 25, 1975 (Décret du 25 mars 1975) created the National Institute of Mineral Resources (GOH Minerals Decree II 1975). Haiti’s mineral sector is small and the government does not appear to have any current plans for investment in the sector. In the 1980s, the Inter-American Development Bank (IDB) assisted Haiti in conducting its first geological survey (Haggerty 1989).